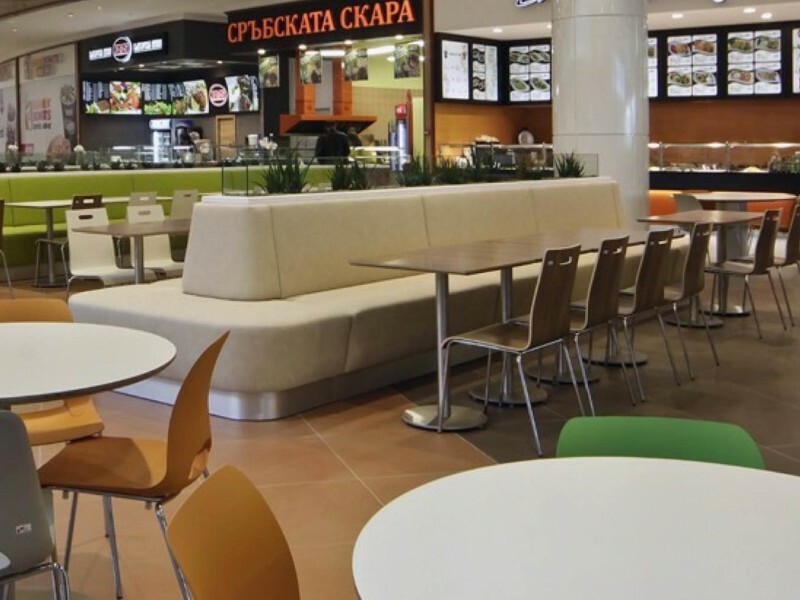 Paradise Centre is a new and modern destination for shopping, meeting, sport and entertainment in one of the oldest European capitals – Sofia. 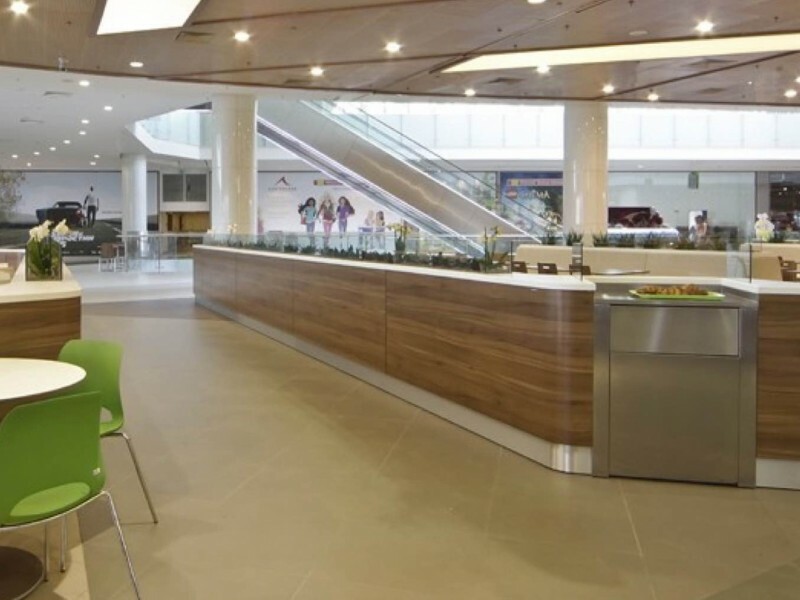 Paradise Centre offers a perfect location in one of the city’s most prestigious areas – Lozenets, in immediate proximity to South Park and the Zoo. 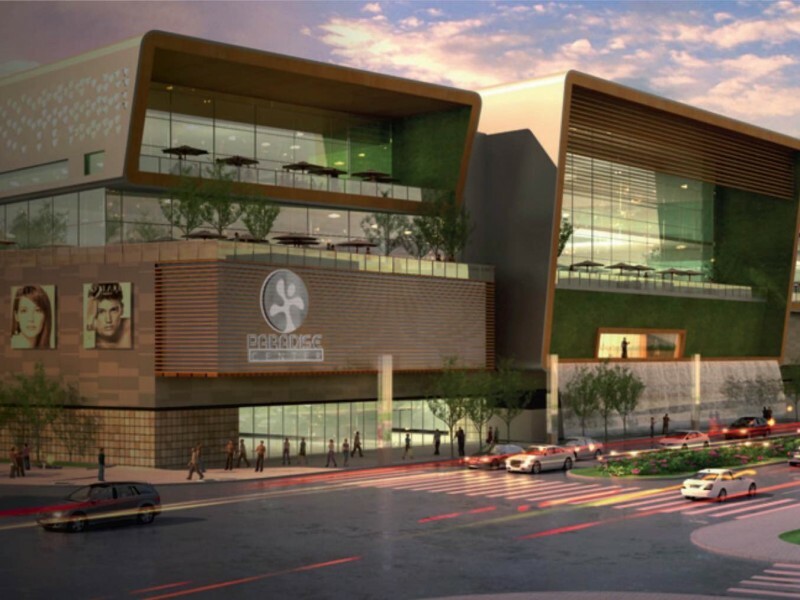 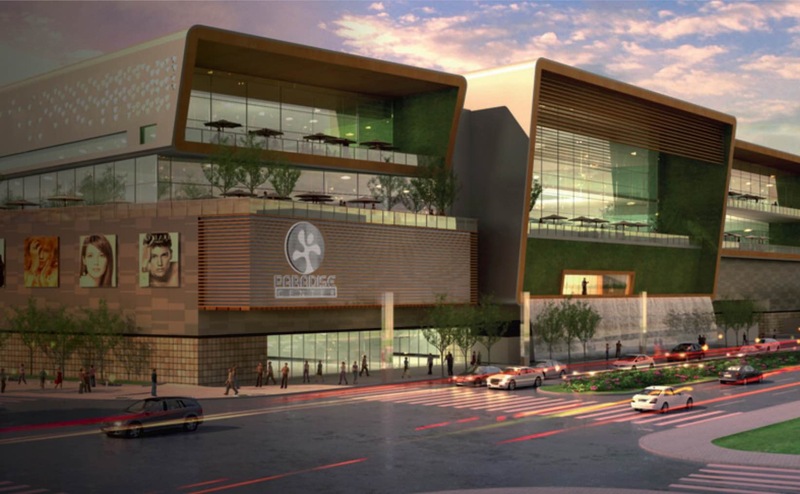 The Paradise Centre is the first lifestyle centre in Sofia, the most sizable project in Bulgaria and among the most unique in Europe. 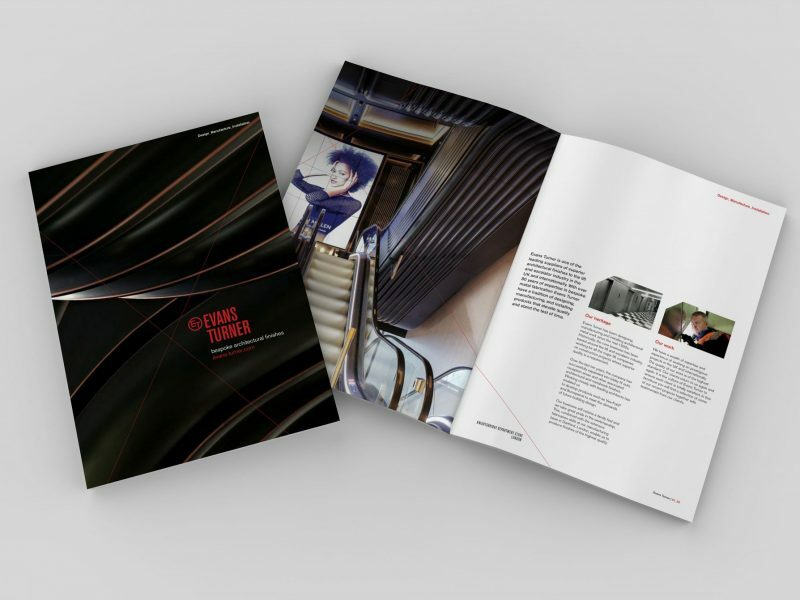 The main conceptual idea is the synergy between man and nature, embodied in the logo of the project and in every detail of the building. 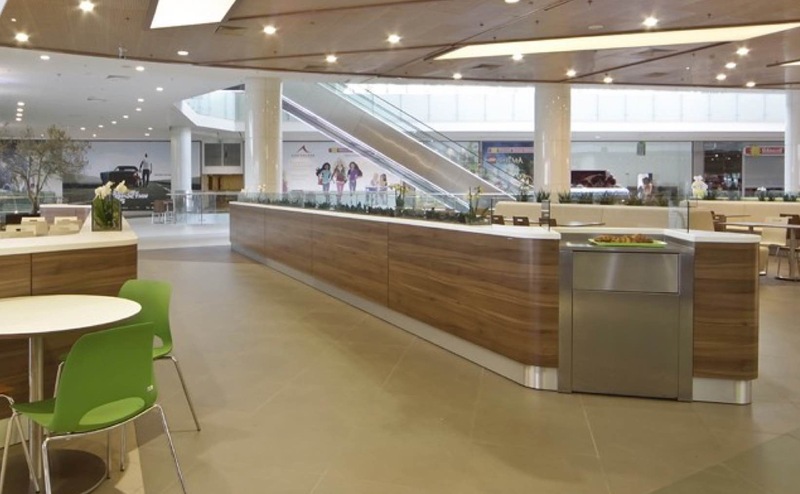 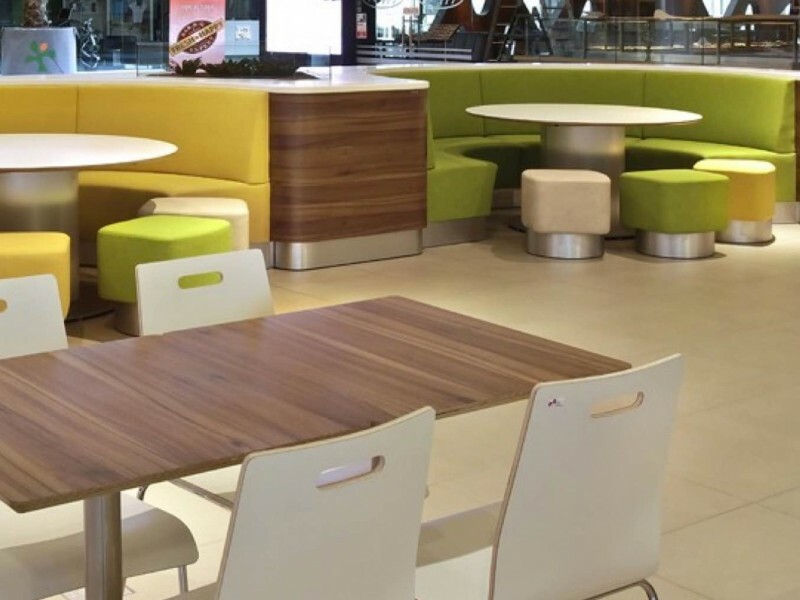 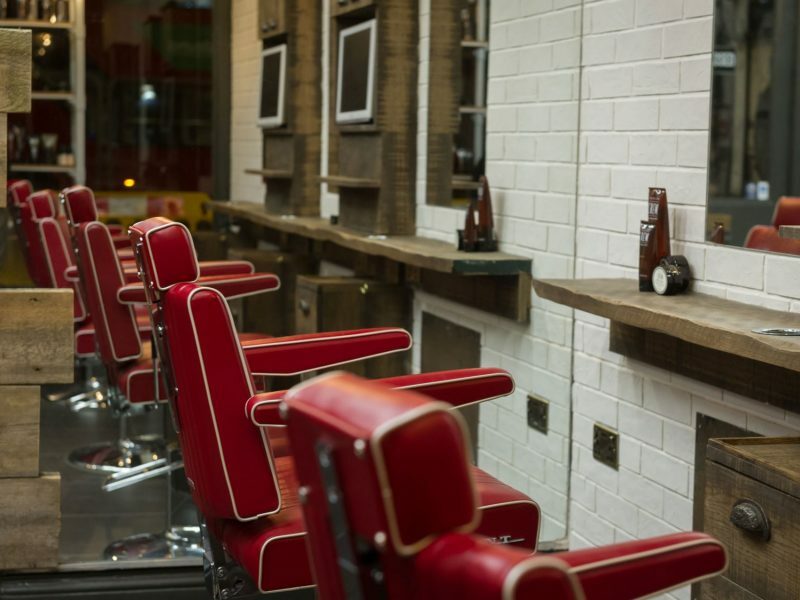 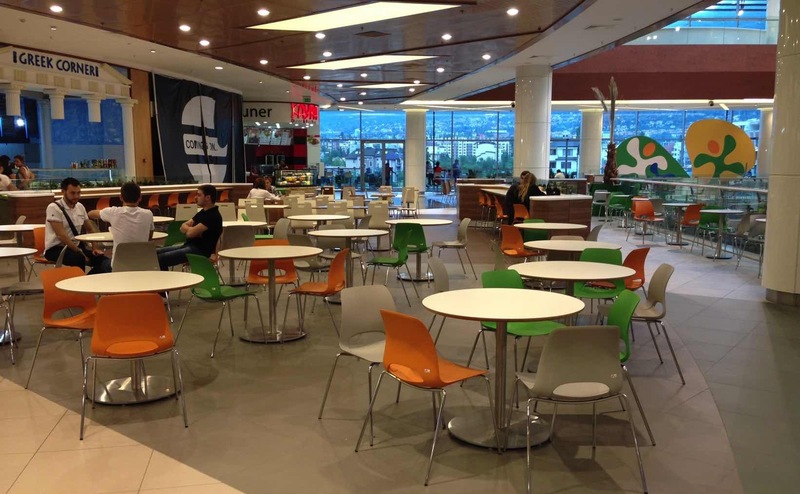 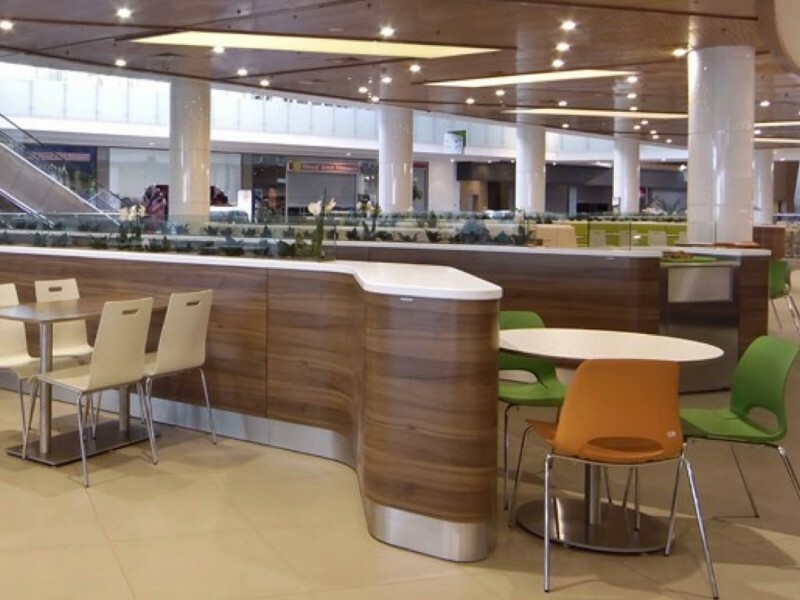 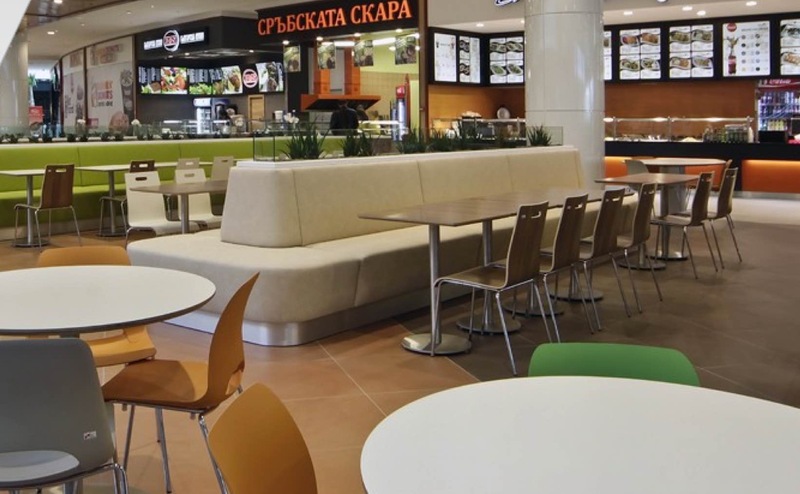 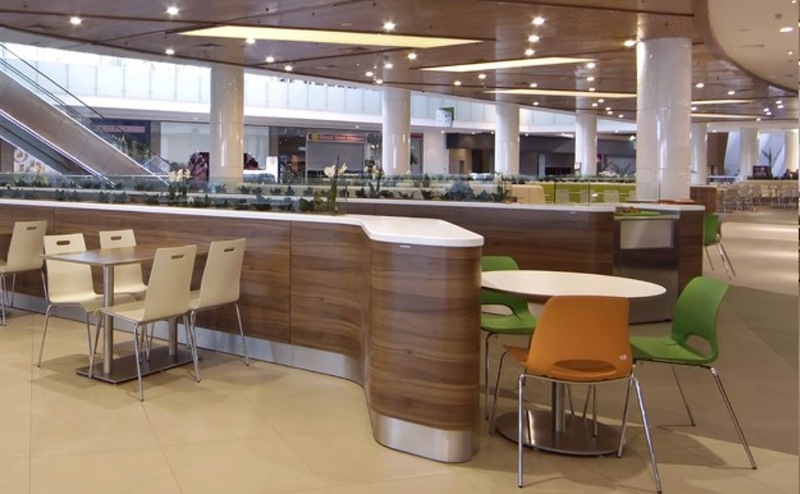 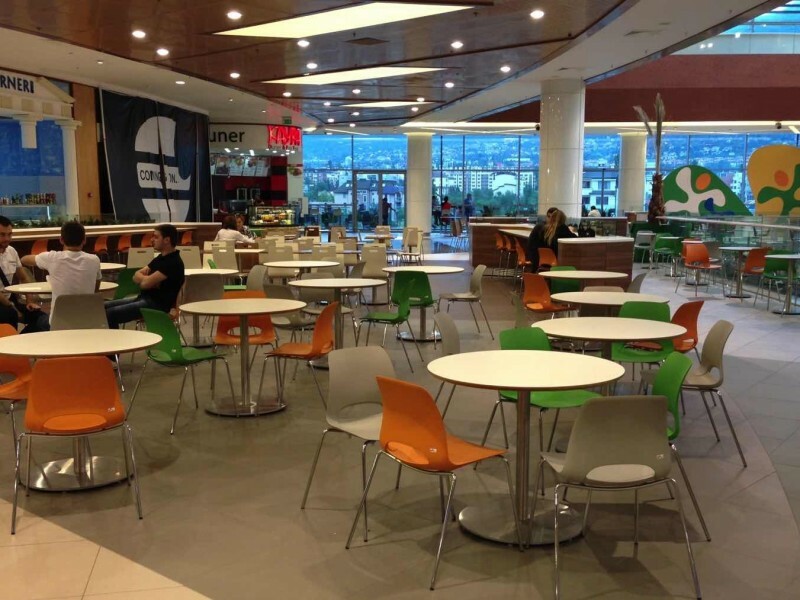 Nugget design were appointed to help with the furniture layout and the food court design. 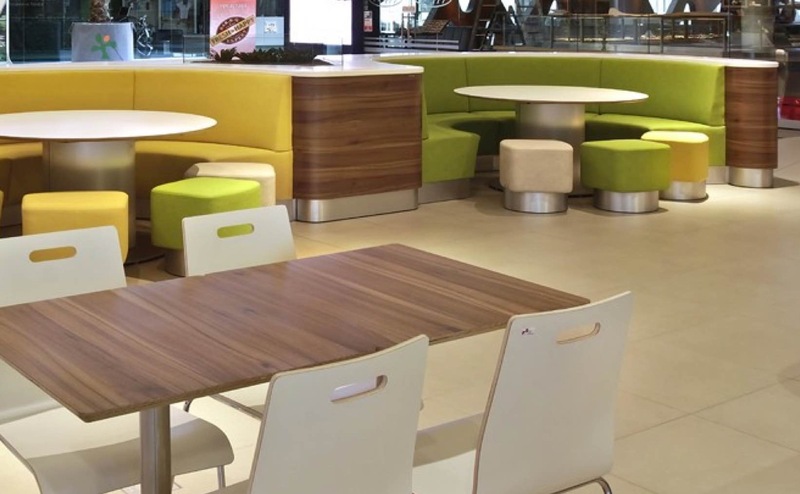 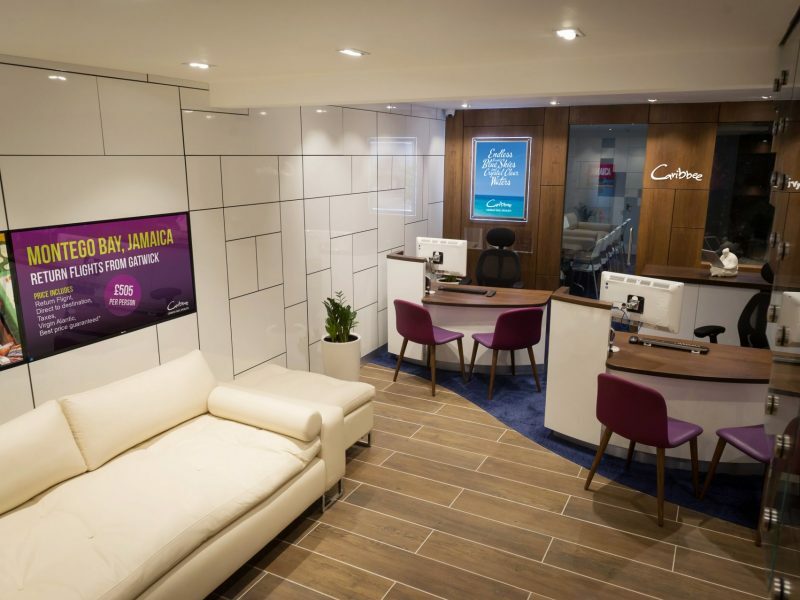 Taking into consideration the brand and the ethos of the centre, we worked carefully on sourcing a complimentary collection of furniture and colour themes.